Tell your students and your friends! renowned neuroethics scholars and innovation in neuroethics scholarship. 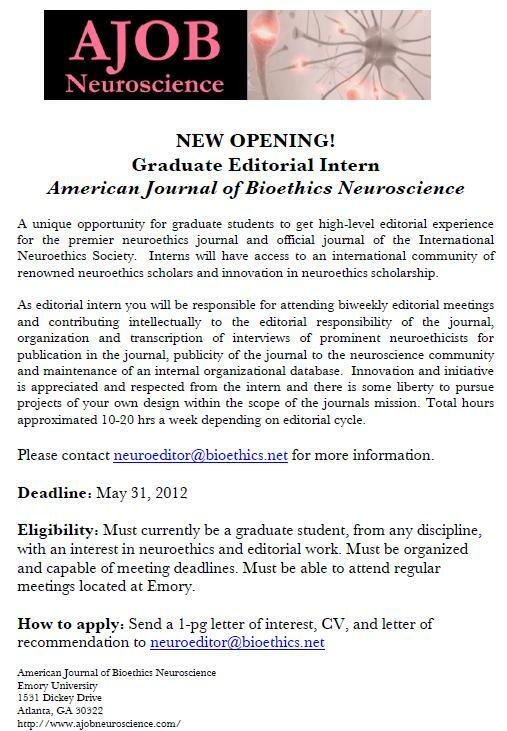 Eligibility: Must currently be a graduate student, from any discipline, with an interest in neuroethics and editorial work. Must be organized and capable of meeting deadlines. Must be able to attend regular meetings located at Emory. You do not have to be an Emory student.